Our service projects are a key part of our program. 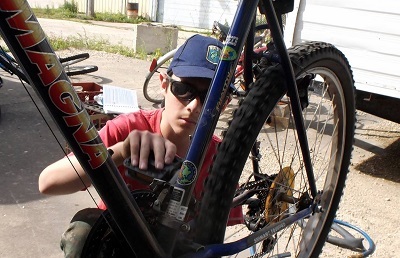 While giving service, Scouts learn to work together to do something that's good the community. Do a good turn daily - help other people at all times. Over the years Troop 33 Scouts have worked at Hurricanes Katrina, Ike, Sandy, tornadoes in Oklahoma and Harrisburg, Illinois. plus floods on the Mississippi and Kishwaukee rivers. 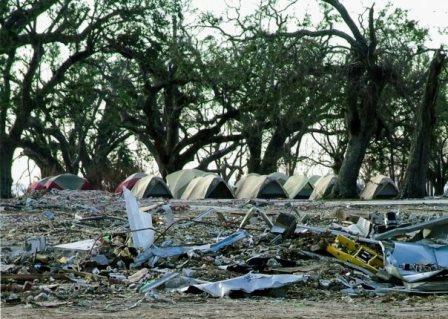 Troop 33 Scouts have traveled 4 times to Washington, Illinois following their F-4 tornado in November 2013 and also projects following the F-4 tornado at Fairdale, Illinois in April 2015. Most recently our Scouts visited North Carolina in response to Hurricane Matthew during the 2016-2017 winter break. For more information, visit our Disaster Relief Page . 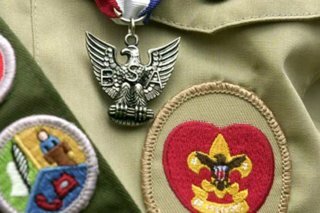 There are Eagle Projects completed by Eagle Scouts in Troop 33 each year. Projects are completed at a variety of community locations. For a summary of recent project visit our 2010's History Page. 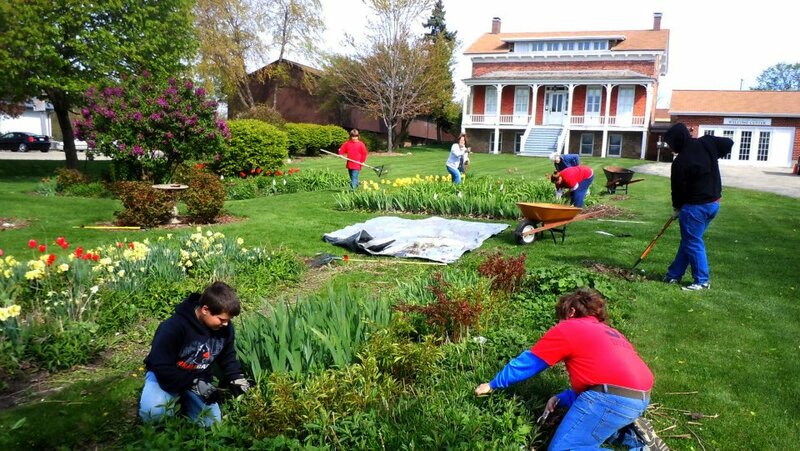 We help support Glidden Homestead & Historical Center each year with a clean up project in early spring, weeding and mulching in early summer, and help park cars at the DeKalb County Barn Show in late summer. We have donated food to VAC, Salvation Army food pantry, and Hope Haven homeless shelter. 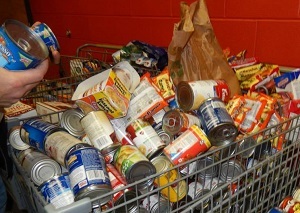 We participate in three major food drives each year that benefit the Salvation Army food pantry. March - "Scouting for Food"
May - "Stamp Out Hunger"
December - "Freezin' for Food." 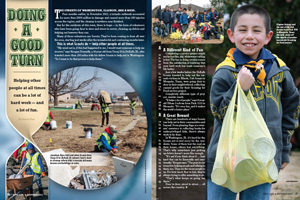 Each year Troop 33 Scouts help collect thousands of food items to address hunger in our community. Troop 33 has been chartered by First Lutheran Church in DeKalb since 1925. 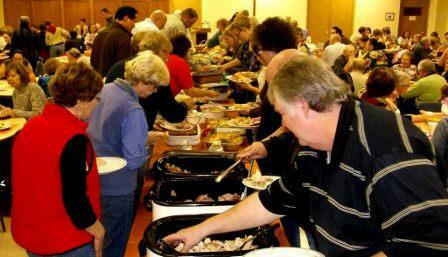 Each year we work at three church events doing such things as cooking, serving food/beverages, and clean up. Our projects occur in the spring, summer, and fall working at their breakfast, picnic, and dinner hymn fest. Our patriotism projects have involved flags and ceremonies. 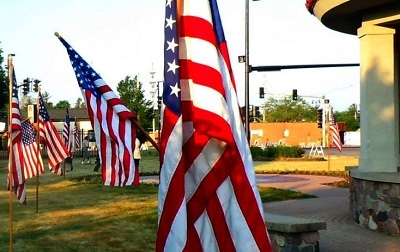 We raise and lower the "Avenue of Flags" at Fairview Cemetery on Memorial Day, Downtown DeKalb on Flag Day, plus ceremonies at Oak Crest Retirement Center on Memorial Day and Veteran's Day. 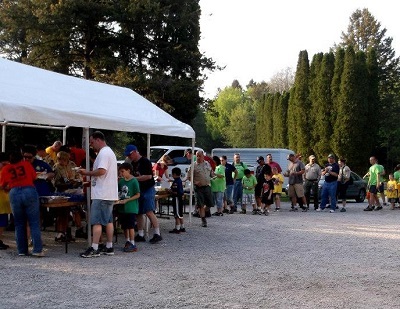 Troop 33 provides food service at the Kishwaukee District Cuboree each spring, which serves hot meals to about 400 people. We also help with Blue & Gold Banquets and have taught advancement awards for Cub dens. We support the senior vehicle safety check every spring by providing free car washes. 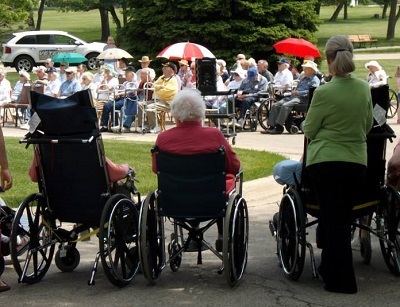 In projects at Oak Crest Retirement Center our Scouts assist seniors with wheelchairs attend ceremonies. We serve as a vendor providing food for the annual "National Night Out" held at the Target parking lot. We have helped with fun fairs at schools. We work to clean up the VIP area at DeKalb Corn Fest each year. We help with other projects as needed. We recycle aluminum.